You will be amazed by the beauty of this church with its rich imperial past. Then, if you have the chance to to hear the sound of the Cavaillé-Coll organs offered by Napoleon III you will be sublimated by the acoustics of the monument. The first stone was laid on February 24, 1851 by the abbot Pierre Masson in the presence of the President of the Republic and his cousin Princess Mathilde came in close Saint Gratien. The very short deadlines, between February and October 1851 and the limited credits, made Louis-Napoleon Bonaparte say to the church delivered empty: “I had not ordered a barn! But Louis-Napoléon Bonaparte, president of the Second Republic, wished to inaugurate the new church of Saint-Leu, Friday, October 31, 1851, pay homage to this city which had seen him grow up ( 1808-1815) and fulfill the wish of his father Louis, eager to find the land of Saint-Leu for his last rest. The ceremony was not lacking in splendor: arches of triumph, presence of the Jean-Nicaise Gros, Archbishop of Versailles, Mayor Dubois and those of the surrounding area, members of the presidential family such as Prince Jerome, his uncle and his children (Prince Lucien whom History has remembered as Plon-Plon, and his sister Princess Mathilde); review of the National Guard. The mass was accompanied by the musical interventions of about twenty artists of the Opera, including that of the “Rite of Napoleon 1st” signed Cherubini. By Following the church was enriched with the large statue of Louis Bonaparte King of Holland (1862), work of Louis-Messidor Petitot. The statue of the Virgin, marble, exposed to the Salon of 1831 and purchased by the Ministry of the Interior and Cults, was offered in 1852 (classified since February 2000 Historical Monument). Cavaillé-Coll organs were offered by Napoleon III on September 3, 1869 and are typical of the nineteenth century. The Municipality had them restored a few years ago with the help of the Department and the State. In 1986, they were classified as a Historic Monument. The bells will be bought by subscription of the faithful and baptized in 1877. The chapier, a rare piece of furniture destined to arrange the liturgical ornaments will be conceived and realized by craftsmen of Saint-Leu and financed by the Fabrique en 1877. It preserves precious ornaments including an embroidered screed offered to the parish by the Prince de Condé, when he resided in Saint-Leu, before 1830. Note also that in the church rest the three sisters Auguié, friends of Queen Hortense. One of them, Aglae Louise, had married Marshal Ney who rests at Pere-Lachaise. On April 28, 1951 the remains of Charles Bonaparte, father of Napoleon, were handed over to the city ​​of Ajaccio in the presence of many Corsican personalities among which we noticed the famous singer Tino Rossi. In 1995, on the occasion of the 150th anniversary of the death of Louis Bonaparte, King of Holland, the four tombs were entirely restored with the financial support of the Souvenir Napoléonien whose local curator is Patrick Karczewski and the Skal Club, international association, cultural and touristic. 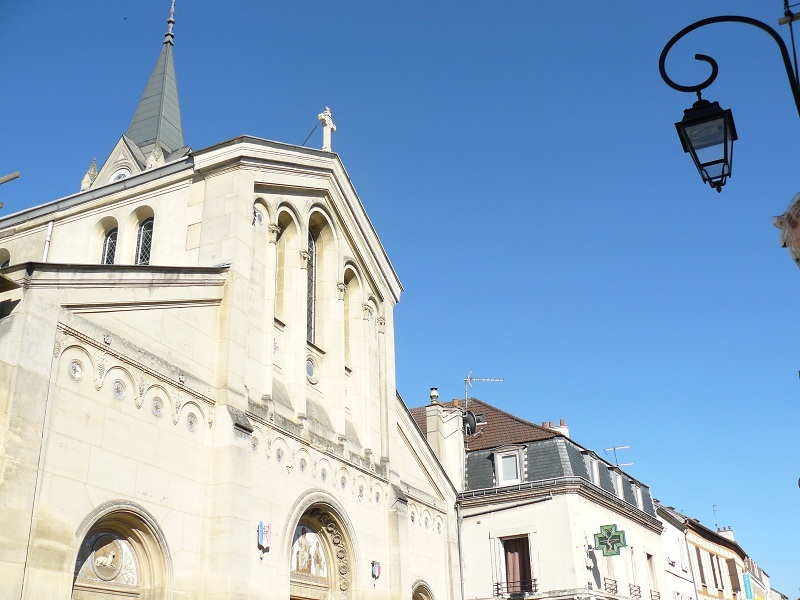 The imperial church can defy the centuries for the greatest pride of Saint-Leu-la-Forêt. Opening hours: Every 1st Saturday of the month, guided tour of the crypt from 10h to 12h.